Our thoughts make us what we are and out thoughts make us what we will be come. I started this journey to become better with my spending habits and become a master of my money. Midway through this process, I started to treat saving like I was playing a game. Now the game just got serious. I have learned to control my money versus letting my money control me. As I mentioned earlier, it means a great deal to my mental health to be able to sit and have lunch once or twice a week with my friends. I cook almost seven days a week, and even though I am a great cook, I get sick of eating my own food. My time out with the girls is my treat and something I do for myself. I have learned that in order to continue this special option, I had to be smarter. If I am to pay myself first, then my “lunch money” will come out of my personal payday. I needed to stretch my lunch money and be creative. I made myself a personal challenge, that if I could not do it for five bucks, then I did not need to do it. You will be surprised at what you can get for five dollars. 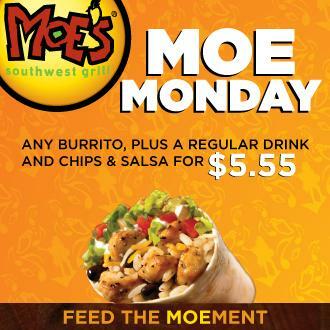 On Monday’s, Moe’s has $5.55 lunch special includes any burrito, drink, chips and salsa. It takes a while to master all of the combinations that you can do. It is also fresh and tastes good. PS, I bypass actually eating the tortilla, and literally slice it open and eat the goodies inside. Tuesday and Fridays at the Flowers Bakery Outlet, you can score bread for $.89 a loaf. I left there today with a package of White Wheat hot dog rolls, Cranberry Orange Oatmeal Breakfast Squares, two loaves of bread for only $4.89. Pretty good huh? Wednesday I love to head to Salsa’s for the $4.99 lunch special which includes a fountain drink. The right choice can hold you all day. They know us, and since we come in between rush hours, we can sit and take our time. Friday’s are perfect for fish, so we head over to Harbor Inn for the Friday special for $4.95. There is of course five dollar footlongs, five dollar burger and fries. There are other places but I don’t want to seem like I am being an over eating fool, I am just letting you know there are choices. The great thing is the people I associate with are okay to eat at the discounted rates. This is also Step Number Five. The people I associate with will determine if you will achieve your financial goals. If my friends are willing to eat a five dollar meal with me, then these are friendships that I will bet on. 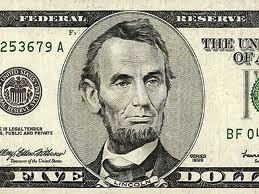 I have a few extra bucks and am will to place a small wager; I got five on it!